Have you heard the saying, “You are the apple of my eye”? It means you are the most loved. Do you like apples? Which one will you choose? Apples contain many nutrients, good things your body needs to stay healthy. Because of this they are called the King of the fruits. Apples are attractive, shiny and round. They come in bright colours. Bright red apples attract bears. Bears can also smell their sweetness. Some apples are green, others are golden and pink. Choose one. Take a bite. It’s crisp, juicy, and sweet tasting. Apples are easy to carry with you. You can take one in your pocket or in your backpack. They last and don’t spoil easily. But don’t drop them. If they fall and get bumped a soft spot will appear and turn into a bruise. The bruise will grow and the apple is spoiled. You can eat an apple anywhere, walking to school, while playing on the playground, or riding along in the car or on the bus. They don’t make a mess. You can eat apples made into apple sauce, apple pies, apple strudel, and in muffins and cakes. There are candied apples you eat on a stick. You can dunk for apples in a large tub of water, but make sure you hold your breath as you try to grab one with only your teeth. Apples help digest the food you eat. Apples have vitamins, C, A, and B1, B2, and B6, and minerals, calcium, phosphorous, magnesium, potassium and iron. All of these help keep your body healthy and strengthen your teeth. Apples are good for your heart and your brain too. Apples are a good snack. Eating an apple will fill your stomach so you can last from lunch until supper. Even though apples are 90% water, they give you energy. When you play hard at soccer, or swimming, or on a hot summer day at the beach, eating an apple will boost your energy and satisfy your thirst. An apple will keep you from getting too tired and help you focus. It will help you think better. Eating an apple will help you do your homework. 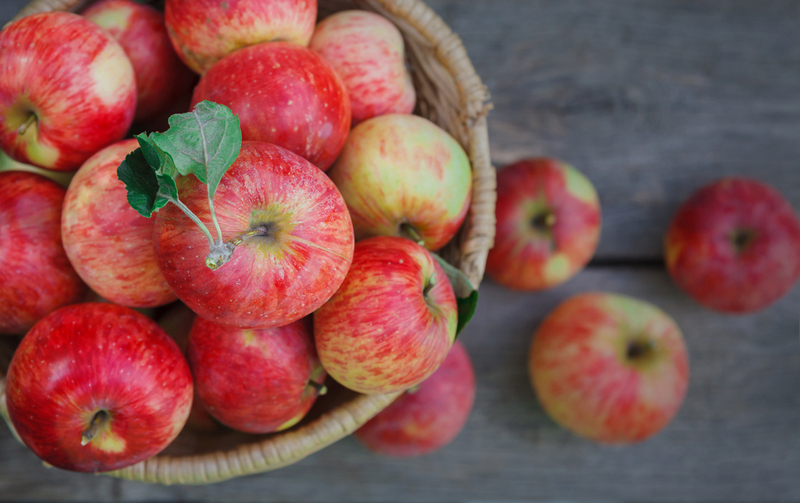 There’s an old saying, “An apple a day keeps the doctor away.” All the good things apples have for you are good reasons to eat one every day. Have you heard the saying, “You are the apple of my eye”? It means you are the most loved. God’s people are the apple of his eye. They are his beloved. Read Deuteronomy 32: 9-14. In Psalm 17: 7-9 King David prays for protection. “Keep me as the apple of your eye and hide me under the shadow of your wings,” he prays. God promises protection if you stay near him.